NodeMcu is a development board based on ESP8266. This microcontroller is made for IoT applications and features WiFi connectivity. There is an easy way to program ESP8266 boards using Arduino IDE. This is what I will use here too. Nowadays, internet security is very important. Maybe you'll use ESP8266 only in the local network or you'll allow external access to it. Unless it's behind a proxy, leaving it unsecured is not a good idea. In the last years, most of the websites switched to HTTPS and modern browsers display warnings when requesting an unsecured HTTP page. To offer secured content, a server greets the client with a trusted certificate, issued by a known authority. The certificate has a limited time validity and must be renewed from time to time. 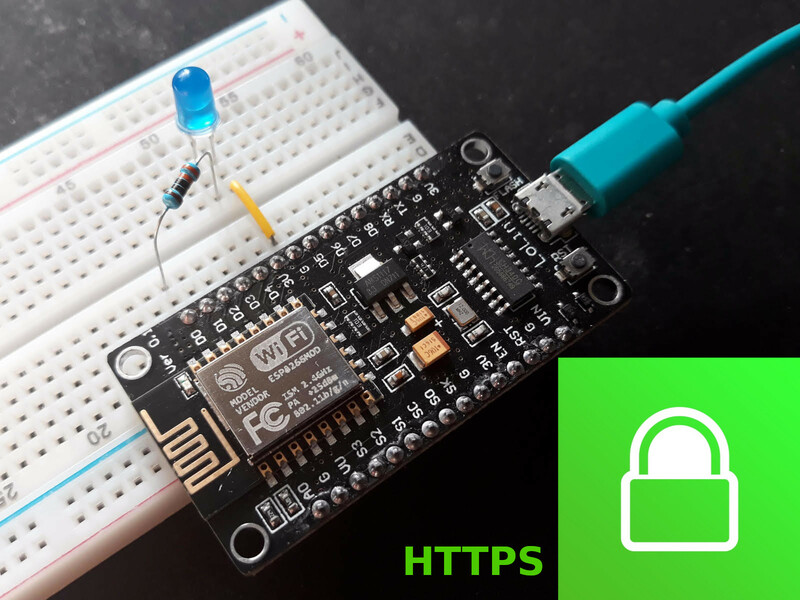 In this post, we'll generate a SSL certificate and use it on ESP8266 web server. You can buy the certificate from a known authority or you can generate it for free on your computer. I'll use the second method although is comes with a glitch. The browser will not trust the certificate. But that's OK, you can trust it as long as you generated it and you keep it private.